As I discussed in my last post when you have a baby (or small child) at home, teamwork is a necessity; in fact, embracing teamwork is often the only way you’ll make anything happen. Even the simplest things – like taking a shower, getting groceries, doing laundry, or even cooking at home – require teamwork once you have a baby. I’m pretty certain I’m not alone here: I think it’s safe to assume that anyone with a baby will tell you that babies make a lot of things difficult. And for me, one of the things that has been really difficult is cooking (even the simplest meals). In fact, during the the first few months cooking seemed like a pipe dream. 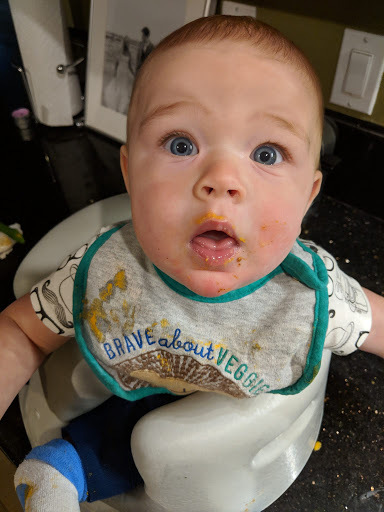 I remember imagining myself in the kitchen, whipping up delicious things, perhaps with a drink in hand, only to be blasted back to reality and realizing I was actually half naked, covered in spit-up, and attending to a wailing, hungry baby. I think the most I “cooked” was making a smoothie or my morning dose (or three) of coffee. With their unpredictable moods, urgent needs, and unreasonable demands for time and attention…oh, and of course their impeccable timing (oh, you’re at that crucial stir it so it doesn’t burn part…I DON’T CARE, PAY ATTENTION TO ME, anyway!) – it probably comes as no surprise that cooking with a baby around can seem totally impossible. As it turns out, food and screaming babies both require your attention. 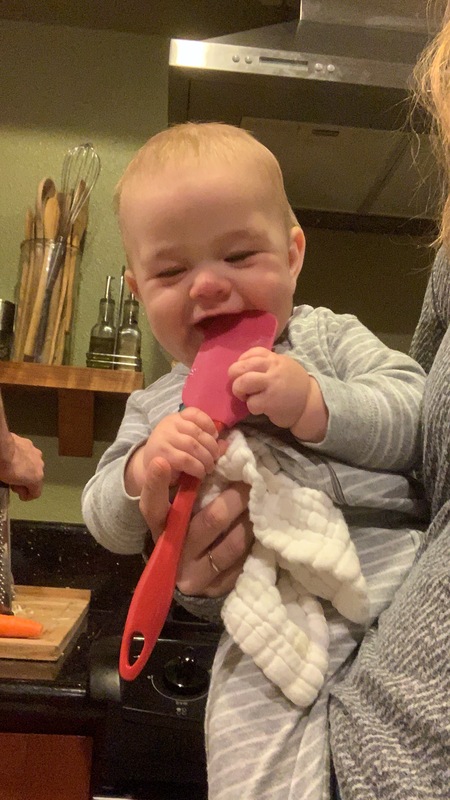 But now that we’re nearing eight months in to this whole parenting thing, I’ve realized that giving up on cooking isn’t actually sustainable – for our health or our wallets. Since you can’t just leave your baby or your onions to fend for themselves, my husband and I have devised a simple strategy for preparing healthier, stress free meals, quickly and easily. We do a weekend grocery run and work together to prep food on Sundays. We stick to simple, delicious, trusted recipes that we can easily repeat week after week. 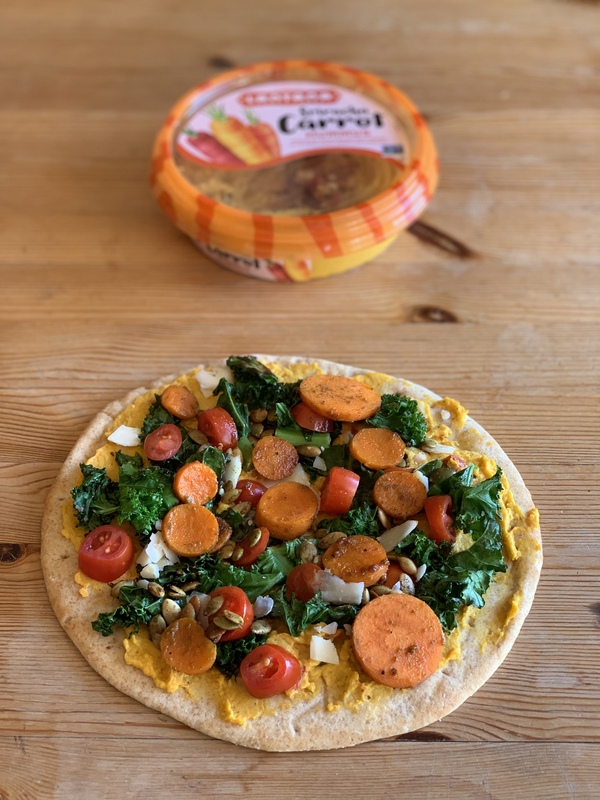 One of our favorite go to, easy weeknight meals is veggie pita pizzas – they’re quick to prepare, healthy and delicious, and they also require minimal clean up (a huge win, if you ask me!). Given how easy they are, and how much we enjoy them, it probably comes as no surprise, that they make an almost weekly appearance in our house. We often change up the “sauce” (aka hummus flavor) and toppings on our weekly pizzas, but this one is likely my favorite. 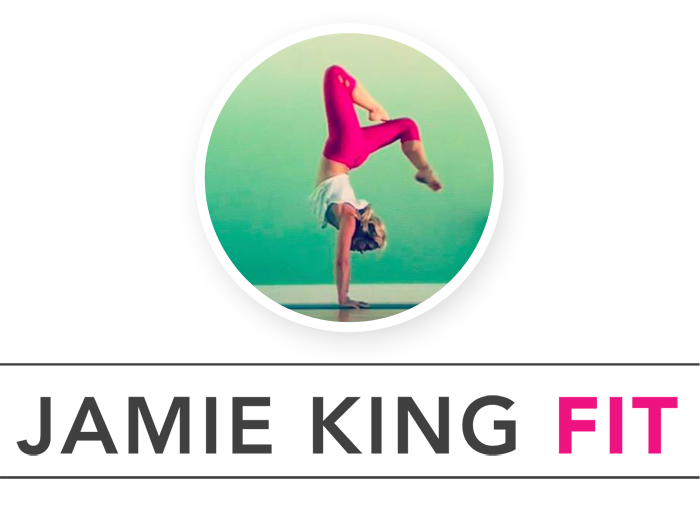 Disclaimer: This post was sponsored by Lantana Foods in partnership with the Sweat Pink community. That being said, all recipes, thoughts on cooking with babies, and opinions on pizza are my very own. I truly appreciate all of the brands that support the Sweat Pink community. Oh my yum. I need to make this a staple recipe in my house for sure! Pizza all day, every day! I love that pizza is a regular thing…ha.